Magic mushrooms may be an instrumental tool to improving the mental health of the terminally ill, and easing symptoms of depression and anxiety for months. 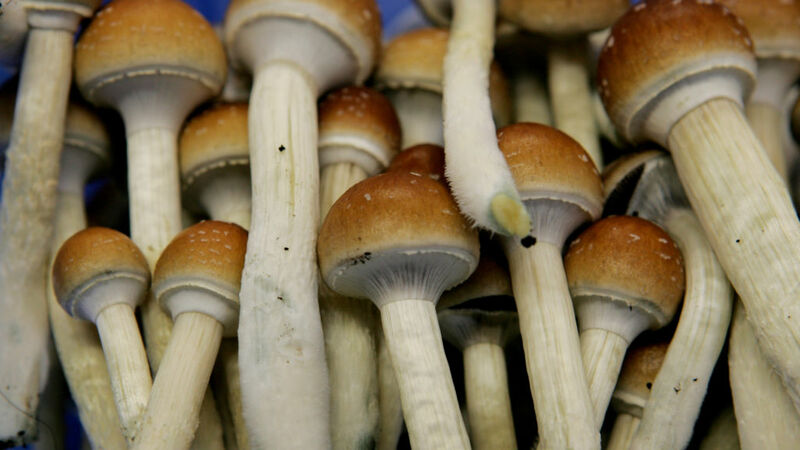 Magic mushrooms heal? There has been a surge in psychedelic research lately, and the results are astounding. Trials published over the holiday season have confirmed that an ingredient in magic mushrooms may help those experiencing cancer-related mood disorders, such as depression and anxiety. The new research suggests that a single dose of the phytochemical can promote positive mental health for months after just a single treatment. In November 2016, two randomized and blinded studies discovered that psilocybin, the active ingredient in magic mushrooms, may have a powerful medical purpose. Researchers from the New York University and John Hopkin’s University treated 80 cancer patients with the mushroom compound. After about an eight-hour long psychedelic experience 73% of patients reported feeling less depressed. 83% reported feeling less anxious after just a single dose. The best part? The results lasted for months. The cut-off point of the study was six months prior to treatment, meaning that for many, the mushrooms eased end-of-life anxiety and depression for as long as half of a year. This corroborates an earlier 2011 study which found that a single dose of psilocybin can cause lasting personality changes in adults. In this case, the anti-depressant effects lasted at least one year in up to 60% of patients. Both studies (and many more on psilocybin) were published in the December 2016 issue of the Journal of Pharmacology. Patients were under the supervision of a doctor and a social worker throughout the entire process. The trials were conducted in a very safe and comfortable environment. Some of the rooms were outfitted with a few groovy objects, including a buddha statue, decorative house plants, a Himalayan salt lamp, candles, and some intricate art. However, many patients simply slipped on a pair of headphones and an eye mask and focused inward. In an interview with The Atlantic, one participant explains how the fungal compound helped her cope with non-Hodgkin lymphoma. Carol Vincent explained that, after her diagnoses, she once contemplated wondered if being hit by a car would be so bad. I have a feeling that I tapped into something bigger than me. It did feel like it was connecting me to the universe. This study is one of several that gives new wind to psychedelic research in the 1960s and 70s. Once again, progressive doctors and scientists are turning into alternative, compassionate therapies for physical and mental health ailments. In the case of psychedelics, however, the area that seems to be most strongly benefitted is psychiatry. Recently, the FDA approved a clinical trial of MDMA (street name: ecstasy) in treatment-resistant post-traumatic stress disorder (PTSD).